Which is true regarding flight operations to a satellite airport, without an operating control tower, within the Class C airspace area? A) Prior to entering that airspace, a pilot must contact the FSS. B) Prior to entering that airspace, a pilot must contact the tower. C) Prior to entering that airspace, a pilot must establish and maintain communication with the ATC serving facility. ( Refer to figure 69, area 3.) 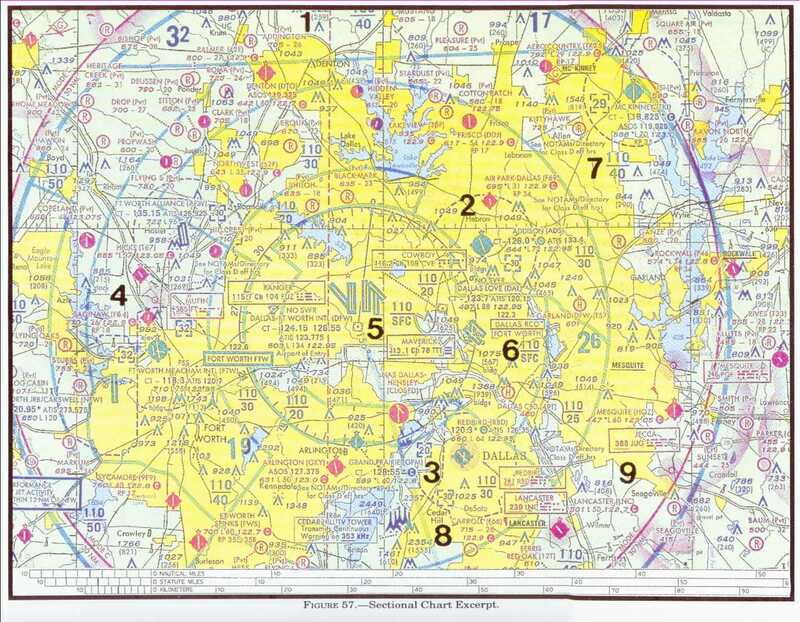 What is the floor of the Savannah Class C airspace at the shelf area (outer circle)? 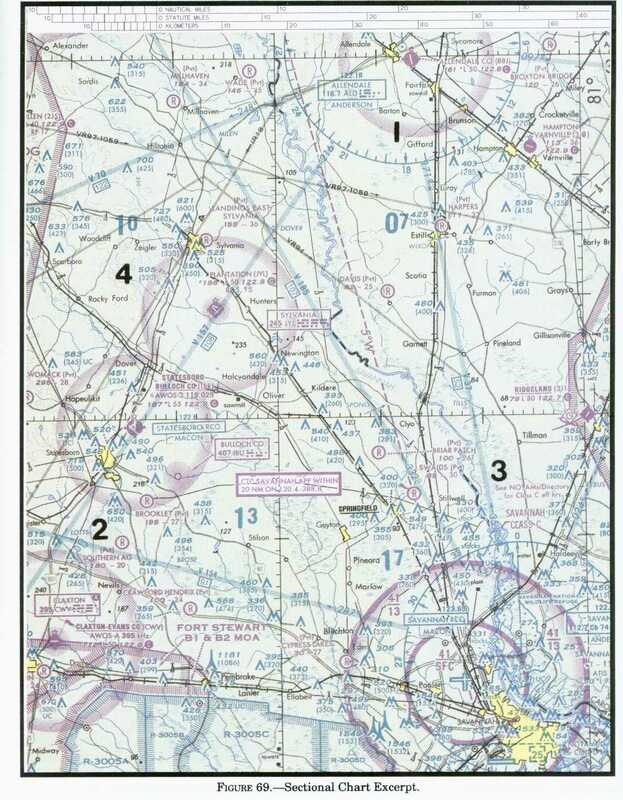 A blue segmented circle on a Sectional Chart depicts which class airspace? A) when the weather minimums are below basic VFR. B) when the associated control tower is in operation. C) when the associated Flight Service Station is in operation. What designated airspace associated with an airport becomes inactive when the control tower at that airport is not in operation? 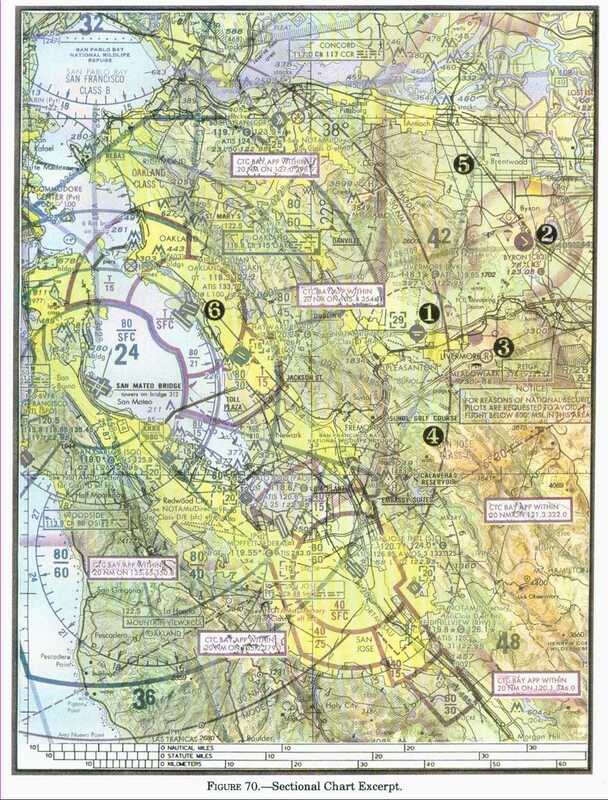 A) Class D, which then becomes Class C.
B) Class D, which then becomes Class E.
( Refer to figure 70, point 1) What minimum altitude is required to avoid the Livermore Airport (LVK) Class D airspace?